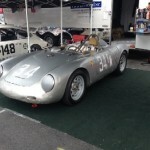 The Pittsburgh Vintage Grand Prix is a world class unique vintage racing event. It is not only America’s largest vintage race, but the only one run on city streets – the way sports car racing began. Accordingly it is one western Pennsylvania’s premiere events, one whose mission is to celebrate and honor PVGP’s founding vintage auto enthusiasts while simultaneously using this venue to benefit charity. Funds raised help provide residential care, treatment and support for autistic and developmentally disabled individuals in the greater Pittsburgh area through the Autism Society of Pittsburgh and Allegheny Valley School. The PVGP is synonymous with Schenley Park and 2018 marks the 36th consecutive year of racing through the beautiful park setting. Vintage racing at Schenley Park is the culmination of a 10-day Race Week highlighted by Historic Races at PittRace, numerous car shows, cruises, a Blacktie Gala, and the Kick-Off Rally. Since 1983 PVGP has donated over $5,000,000 split evenly between the Autism Society of Pittsburgh and Allegheny Valley School. 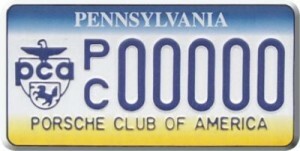 ARPCA is one of if not the longest tenured car clubs in western PA supporting PVGP. Our support includes not just the car show at Schenley Park, Kick-Off Rallye, Black Ties & Tailpipes, and Bridge Party but also numerous club members are participating vintage racers. “German Hill” is anchored by ARPCA meaning we are first and last marque one visits at the PVGP and we therefore consistently provide a unique show experience for all patrons. 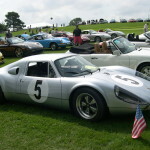 To mention two, in 2011 we had ~ 500 Porsches on the lawn with a feature displaying one vehicle from each model year of our club (1961 to then present); 2015 brought a first time ever to PVGP when ARPCA Event Chair, Ed Rice, and countless others worked overtime persuading the Rock-n-Roll Hall of Fame in Cleveland, OH and Joplin Family Trust to lend ARPCA THE original Janice Joplin psychedelic 356. 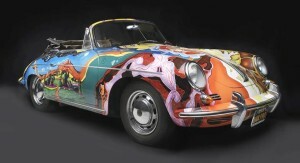 Doing so enabled 250,000+ patrons to view this art and music memorabilia piece not only closer than possible in the Rock Hall, but more importantly for free! 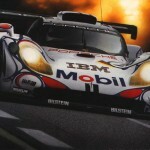 This year promises to be a memorable event as we celebrate the Race Cars of Porsche! 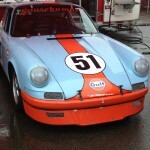 You’ll not want to miss the special mix of important Porsche race cars that will be gathered on the lawn. 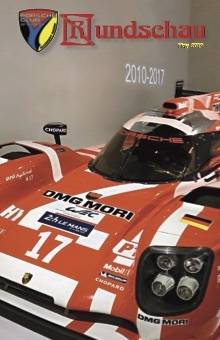 ARPCA and Porsche return as Marque of the Year for PVGP 2021, ARPCA’s 60th Anniversary. Each year though provides a unique experience; 150+ vintage cars racing on city streets surrounded by 3,000+ vintage and exotic cars on display on are just two of many reasons PVGP is one of Jalopnik’s Top 10 car events any enthusiast must do. 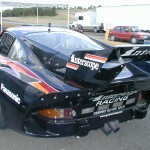 Please join us in supporting the PVPG and underlying charities through this world-class automotive event! 2018 PVGP Registration Now Open – Details Here!